To mark DAYS’s 53rd anniversary on November 8, the show is launching a new mobile app, The DOOL App. Co-Executive Producer Greg Meng gave Digest the scoop about what to expect from this new, fan-friendly platform. Soap Opera Digest: What was the genesis of the app? 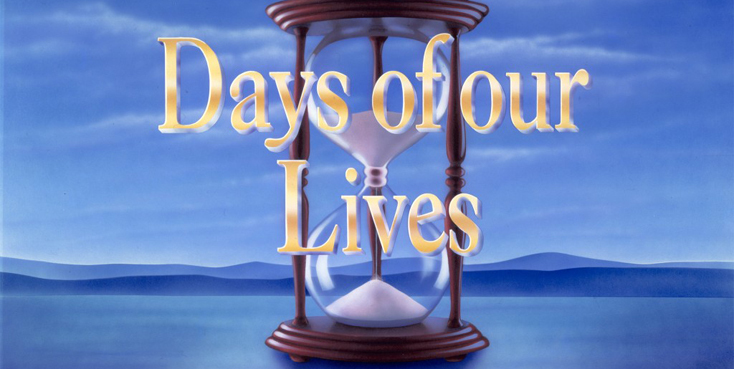 Greg Meng: When we released our books [Days of our Lives 50 Years, etc. ], we did tours all over this country and all over Canada and met the fans. We saw how having a physical presence with the fans is important, and we learned how DAYS is so much a part of the fans’ families in many different ways. So we thought, “How do we keep connected, and how can we involve the fans?” So, of course, with the digital era here, we’re thinking, “Wow, well this is a great way!” It kept evolving into different ways that we could be interactive with the fans and connected on a daily basis. Plus, from a business standpoint, we need something to help increase viewer frequency, so we were also trying to find a way to do that. Digest: What kind of things can fans find on the app? Meng: The app is designed so that we will have something for the current fans and for former fans, to engage them and bring them back. Each day of the week, there will be something new on the app. One of the categories is latest News, so it involves casting or anything going on with a cast member, sneak-peek promos, previews of what’s coming up, and tune-ins. Digest: Tell me about the Video Vault section. Meng: It’s a unique area with classic clips from DAYS that you can’t find anywhere else. There was a time you could grab some of these from YouTube, but no more! It’s only on this app. Even though it’s video-driven, we’re doing an area of photos, so it will have the cast posting photos under our control from different events, some from backstage or the makeup room. Digest: What else is there? Meng: Each week, one of the cast members will recap the week of shows and they’ll set up the highlights and hopefully inspire you to go back to the NBC website and catch the episodes. There is the Cast Connect section, where each cast member has their own “room”, and within that room are not only show-related items that they want to post, but also special interests. We have an area called the “Arcade,” which is quite fun. It’s trivia, quizzes and polls. That will be updated regularly. We have a Backstage area, which is literally what it says: interesting videos from backstage. We’ve also got original content for a planned talk show. Martha Madison [Belle] and Lilly Melgar [ex-Lily, GH] did quite a good talk show [SOAP BOX] for several years, so we plan to launch that down the road. Right now, the important part is this app is strictly promotional for DAYS OF OUR LIVES, so we want to get it up and running so we can start doing that before we get into some of these more aggressive ideas. Digest: What other ideas do you have for it? Meng: There would be several types of original content: one would be a planned web series that would be written by Ron Carlivati, our head writer, that would potentially launch a character. Because we’re six months ahead tape to air, we could initially put a web series on instantly and get fans familiar with a character and then when they jump on the show, the backstory is all settled and the character is familiar and then they’re suddenly in Salem. There’s another type of original programming that may involve characters that are not currently on the show. They’ve gone to London — well, what are they doing in London? So in this web series, we would show the people they’re interacting with in London and their storyline for the moment before they come back on the show. There could be characters that were maybe mentioned on the show in the past or as babies, but they could be their own stand-alone stories and somehow they would relate to the show. We’d like to keep it so that it makes sense with the flow of the show. But there’s unlimited platform for content. Digest: There are a lot of moving parts to this! Meng: A lot of moving parts to this! It’s really, really exciting. And the fact that we’ve had such support from NBC and our distributor, Sony, has been wonderful. Digest: And you’re including Digest’s Take Five section in it! Meng: Well, Soap Opera Digest has been — for many, many years — the conduit for the show to the fans. I feel we’re just taking our relationship to another step digitally. It’s a great media partner relationship. Digest: You’re launching the app on the show’s anniversary, November 8. Anything special planned? Meng: Yes, it’s going be the 53rd anniversary gift to everybody. We’re planning a live Facebook event throughout the day. Digest: So, all the fans have to do is download this app? Meng: It’s free. Yes, download the app. That’s all you have to do. We have produced tutorials with a variety of the cast members so they can reach out to their fans, or even just generally to fans, and show how easy it is to use. Each of the actors plans on being extremely active on the app. This is their world, and it’s a way for all of us to be in touch minute by minute. Digest: Anything else you want the fans to know? Meng: We’re looking for their feedback. In the app, it’s built in for them to comment, so we’re very much looking to their feedback on all these different areas. It’s an interactive app. We will be connected.